Multi-Chamber Meet and Greet @ St. Joseph - Apr 20, 2018 - Hartland Area Chamber of Commerce, MI ? 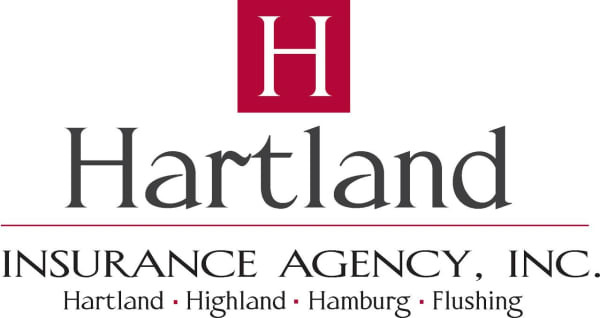 Hartland Chamber Members & Guests - please join us for this free MULTI - Chamber event. 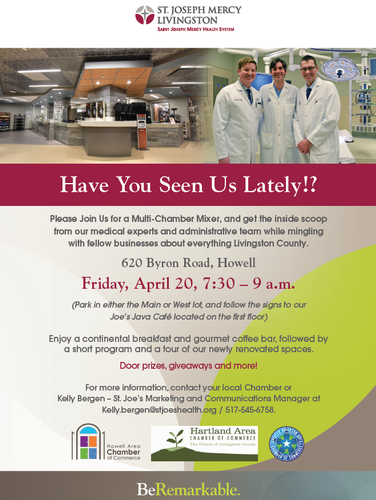 Start off your day as we network with members of the Hartland Area, Howell, and Greater Brighton Chambers of Commerce at Joe's Java at the St. Joseph Mercy Livingston Hospital in Howell. Come enjoy a complimentary light breakfast and gourmet coffee bar, followed by a short program and tour. No Charge, bring your business cards and please RSVP!